Teri talks about her dental implant experience at Valley Oral Surgery. 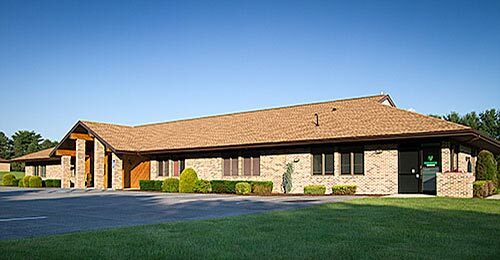 Valley Oral Surgery offers the most experience and latest surgical techniques for dental implant surgery in the Lehigh Valley. Our surgeons were the first surgeons trained to place dental implants and have over thirty years experience. Valley Oral Surgery offers state of the art imaging technology (three dimensional computer tomography). Valley Oral Surgery was the first office to offer this advanced imaging technique in an office setting. There is no need to go to an imaging center or hospital to attain this advanced study. Of interest, Dr. Popowich and Dr. Grim were personally trained by Dr. Per Ingver Branemark, the father of dental implantology. Both doctors were one of the first 50 oral surgeons trained in the United States for the placement of dental implants. Why replace my missing teeth? Your teeth affect your whole body. When they are healthy, your are healthier too. A missing tooth can affect your bite, speech and eating choices. As you rely more on your remaining teeth, you increase the chance they will wear out prematurely, or be damaged or lost. You may also experience headaches and/or jaw pain. Who would want their appearance and health to deteriorate? That’s the natural consequence of missing teeth – the jaw literally melts away. Generally, people will lose 25% of their supporting jaw bone structure within the first year after tooth loss. Dental implants are more easily placed when teeth are first extracted because bone replacement becomes more complex as time passes. The great news! Implants act just like your natural teeth. They safeguard and preserve your bone structure, oral health and appearance. Your dentist and the implant surgeons at Valley Oral Surgery will provide you with options so that you can make the most informed decision concerning tooth replacement. A good candidate is anyone missing one or more teeth, or who is unhappy with their dentures. Age is not a factor. However, smoking, diseases such as diabetes, and radiation therapy to the area, have been shown to lower the success rate of implant placement. To determine the best choice of therapy appropriate x-rays will be taken to ascertain the bone levels available as well as determining how many implants would be beneficial. Detailed x-rays may also be required if additional information is needed. 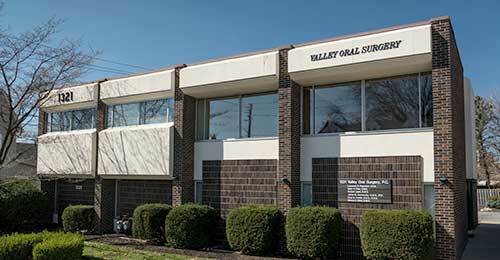 Valley Oral Surgery offers the latest imaging technology, three dimensional CT technology in their office. A natural tooth consists of a root and a crown. If you compare natural teeth to implant supported replacement teeth, you will see that they have the same basic parts. Both have a crown (the visible part used to chew food). Both have a root that holds the tooth securely under the gum and is anchored to the jaw. The difference is that the implant is made of titanium – the same well accepted material used by surgeons for artificial joints. When you lose a tooth you lose both the root and the crown. To replace the tooth, the surgeon first replaces the root with a small dental implant. Time is allowed for the bone to heal and grow around the dental implant. A support post (abutment) is then placed on the implant an a new replacement tooth (crown) is placed on top of the abutment. 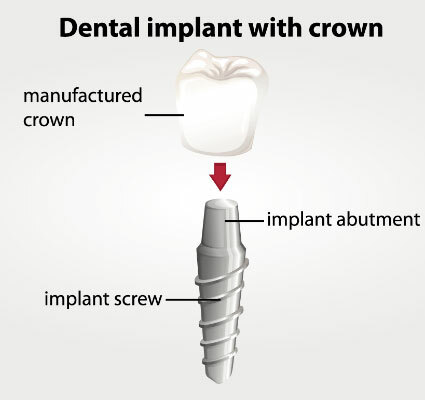 In many cases a temporary replacement tooth can be attached to the implant prior to the permanent crown. If all of your teeth are missing, a variety of treatment options are available to support the replacement teeth (click to learn more). The procedure to place an implant takes typically 30-60 minutes for one implant and only 2-3 hours for multiple implants. The number of appointments and time required varies from patient to patient. The surgeon will bring great precision and attention to the details of your case. Prior to surgery, you may receive antibiotics and for greater comfort, intravenous sedation to help alleviate any anxiety you may have regarding the procedure. These options are discussed with you at your consultation appointment. A local anesthetic will also be administered to numb the area where the implant will be placed. When you are comfortable, the surgeon makes a small incision in the gum tissue to reveal the bone, create space utilizing a special instrument and gently inserts the titanium implant. The top of this implant is often visible through the gum. Sometimes it is better in the early stages to have the implant covered by the gum tissue. Now the healing begins. The length of time varies from person to person, depending upon the quality and quantity of bone. In some cases, implants may be restored immediately after they are placed. The surgeon will advise you on follow up care and timing. After the initial phase of healing, the surgeon places an abutment (temporary support post) onto the implant during a brief follow up visit. This allows gum tissue to mature and provides access to the implant. How long your mouth needs to heal is determined by a variety of factors. Follow up care is needed to ensure that your mouth is healing well and to determine when you are ready for the restorative phase of your treatment. On occasion it may be beneficial to perform a soft tissue graft to obtain stronger, moer easily cleaned and natural-appearing gum tissue in the area around the implant. This process involves moving a small amount of gum tissue from one part of your mouth to the area around the implant. Whether it is one tooth or all of your teeth that are being replaced, your dentist will complete the restoration by fitting the replacement tooth (crown) to the dental implant. Implants are often placed several months after extraction. At times, an implant may be placed immediately as the same time of tooth extraction. This may involve a little more risk, but it simplifies the process – you won’t have to wait for another appointment to place the implant. When infection or other problems within the bone are present, immediate implant placement is not the best treatment. If your tooth has been missing for some time, the adjacent support bone is likely to grow thinner and shrink. This occurs because the root of the natural tooth has been present to stimulate the bone. As much as one-third of your jaws thickness can be lost in the year following tooth extraction. If you are missing enough bone, you may benefit from having additional bone grafted into the area. This ensures the implant will be adequately supported when it is placed in the jaw. After tooth extractions if the walls of the socket are very thick they will usually fill naturally with new bone in 2-3 months. However, when the walls of your socket are very thin (such as in your upper and lower front teeth), this type of healing will not be as predictable. In these situations, a bone graft is often placed at the time of tooth extraction to help your body fill in the empty socket with bone. This step will maintain the width and volume of bone you will need for implant placement several months later. There may be inadequate bone for implant placement if your tooth was removed many years ago and your bony ridge is extremely thin. In this case, a bone graft can be placed next to the thin bone and allowed to heal for 4-5 months. After the graft has fused to your pre-existing bone, the ridge will be re-entered and the implant placed. Bone grafting is usually a relatively comfortable office procedure. Many different bone grafting materials are available, including your own bone. You may also need bone grafting if the sinus cavities in your upper jaw are very large, or very low and extend into the tooth bearing areas. This often occurs when teeth in the back of a person’s upper jaw had been removed many years before, and the amount of bone available for implant placement is limited. A “sinus grafting procedure” is then required. During the procedure, the membrane that lines the sinus will be located and elevated. Bone will then be added to restorative bone height to ensure that dental implants of an adequate length can be placed. In addition your surgeon will likely add some of your own blood to the graft to ensure better healing. This process is referred to as PRP (plasma rich protein). At the beginning of your surgery blood is taken (similar to a blood test) and placed in a centrifuge to prepare it for adding to the bone graft. This procedure can often be performed at the time of implant placement. Most frequently, one implant per missing tooth is placed. Because many of the larger teeth in the back of your jaws have two or three roots, the most common approach is to replace missing back teeth with larger implants. Multiple missing teeth can be replaced with implant supported bridges. 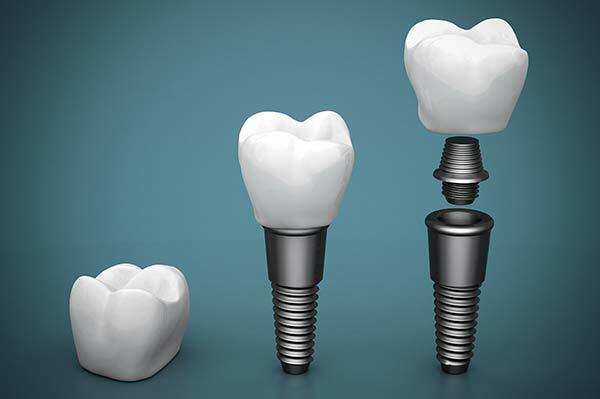 Two implants can often replace three or four teeth like conventional dental bridges. WHAT IF I AM MISSING ALL OF MY LOWER TEETH? Although many patients have no problem wearing an upper denture, many people find it difficult to wear and eat with lower dentures. Several implant supported replacement options are available if you are missing all of your lower teeth. One option is to have two implants placed in your lower jaw and a denture made that snaps onto these implants. This option allows your lower denture to be more stable while chewing then without implants. However there will still be movement of your lower denture, however chewing and functioning is greatly increased. As with all removable replacement teeth, you will still need periodic appointments for denture adjustment by your dentist. Another option involves placing 4-6 implants, depending on your jaw size or shape, into your lower jaw. After healing is complete, the implants are connected with a custom made support bar. Your new denture will be made with special internal retention clips that attach onto the support bar, enabling the denture to snap firmly into place. This is called an “over denture”. The advantage of this option is that it is much more stable than the first option and allows very little denture movement. Your denture is still removable for easy cleaning and maintenance. A third option involves placed 5 or more implants into your jaw and attaching a permanent set of teeth. The teeth are held in place by screws that secure to the support post. It doesn’t touch the gum tissue, which allows you to clean under the permanent teeth without removing it. These permanent teeth will replace all of your missing lower teeth and will not be removed except at maintenance visits if necessary. Although cleaning under your teeth without removing them is more time consuming and requires more dexterity, many patients who want permanent teeth prefer this option. (click here for more information – restorative options all teeth). The final option is to have all of your teeth individually replaced so that they will appear to be growing out of your gum tissue and will most closely resemble the appearance of your natural teeth. This option usually requires 8 or more implants. Separate abutments or support posts for each of these implants will be made and crowns for each missing tooth will be placed. These teeth are often joined together for strength and support. Overall this is the most costly option, because it requires the most implants and individual replacement tooth fabrication. Your replacement options may also be limited by the current size and shape of your jaw bone. A similar range of treatment options is also available for your upper jaw. However, because the bone is not as hard as that in the lower jaw, people often need more implants to support their new replacement teeth. Depending upon the number of implants to be placed, it may be possible to eliminate the need for covering the roof of your mouth with a complete denture. This option allows you to fully taste your food and gives you a better sense of its temperature. Your denture will feel more natural. You will still have a removable denture, which makes cleaning the support bar and denture much easier. If you want a restoration that is similar to your natural teeth and therefore not removable, you will probably need 8-10 implants placed. This is followed after healing by the placement of a new set of complete non-removable teeth. Newer advanced treatments are also available. Several new options available by Valley Oral Surgery include the All on Four technique, the Teeth in a Day technique and zygomatic implants. Many options are available, and they are tailored to your specific requirements. If you need a replacement tooth while the implants are healing, temporary removable teeth can be made. If all of your teeth are missing, a new temporary healing denture can be constructed for you. On occasion, temporary transitional implants can be placed at the same time of permanent implants to help support a removable denture. These are temporary and will be removed once your permanent implants have healed. Depending upon your particular situation, some implants can be placed and (loaded) immediately. This means that temporary or permanent replacement tooth/teeth can be placed on, or shortly after, the day the implant(s) is placed. Implants usually last a long time. When patients are missing all of their teeth, long term studies (more than 30 years) show a 90%+ success rate. For patients missing one or several teeth, recent studies show a success rate of greater than 95%, which confers favorably with other areas in the body that receive implant replacement (such as hips or knees). However, if one of your dental implants either doesn’t heal properly or loosens after a period of time, you may need to have it removed. After the site heals (or on occasion at the time of removal), another implant can usually be placed. The replacement teeth are usually attached to the implant when adequate healing has occurred and your jaw bone is firmly fused to the implant. The implants typically take anywhere from 8-12 weeks to heal. In the lower jaw, where the bone is stronger, the implants typically heal in approximately 8 weeks. In the upper jaw, where the bone is softer, the implants typically take 12 weeks to heal. Every situation is different, and your surgeon will advise you how long the implants should take to heal prior to having your teeth restored. Prior to returning back to your dentist for the fabrication of your teeth, a temporary abutment will have to be attached. This is a minor procedure which allows the dentist to access the implant. Once the temporary abutment is placed, a final x-ray will be taken to confirm proper healing. Once this has been established you will be referred back to your dentist for the fabrication of your teeth. Our office will keep your referring dentist updated throughout your entire care. As with natural teeth, it is important that you clean implant supported teeth regularly with a toothbrush, floss and any other recommended aids. You should also visit your dentist several times a year for hygiene and maintenance. 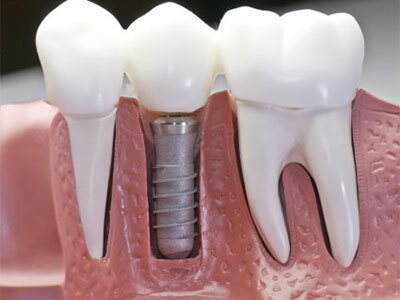 As with regular dentures and other teeth replacements, your implants and associated components are subject to wear and tear and eventually may need repair, including clip replacement, realigns, screw tightening, and other adjustments. Before treatment begins, every effort will be made to give you an accurate estimate of all of the expenses involved in placing the implants. Any insurance benefits will be checked for you. It is very important to understand that there are separate charges associated with implant therapy. The first charge will be through the surgeon’s office, this fee includes the entire surgical process. Your dentist will be responsible for making the teeth on top of the implants. It is important to get in touch with your dentist prior to implant placement so that you can understand the entire cost of your treatment. Nobel Biocare is the implant company that Valley Oral Surgery has partnered with over the last thirty years. 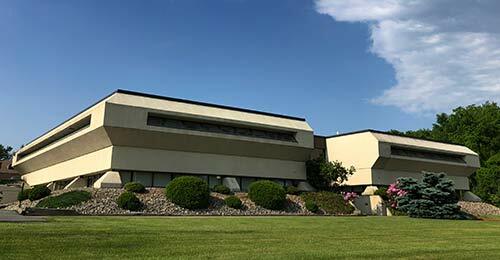 Modern implant dentistry was founded by Dr. P.I. Branemark. Dr. Branemark eventually brought his dental implants to the world market via the Nobel Biocare Company. Nobel Biocare is a world leader in dental implants and Valley Oral Surgery offers all Nobel Biocare implant products because of their superb quality, long lasting track record and excellent support. When dentists think of quality implants, they think of Nobel Biocare.